In REDUCE-IT, 71% of patients had a history of atherosclerosis, while 29% had diabetes. 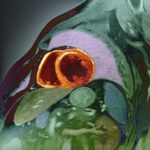 According to new data presented at the American College of Cardiology 68th Annual Scientific Session, treatment with icosapent ethyl was associated with a substantial reduction in the risk of first, subsequent, and total ischemic events when compared with placebo in statin-treated patients with established cardiovascular (CV) disease or diabetes with other CV risk factors. The Reduction of Cardiovascular Events with EPA-Intervention Trial (REDUCE-IT) included 8179 patients with elevated triglyceride levels (≥135mg/dL) despite treatment with statins. Patients were randomized to receive icosapent ethyl 4g/day or placebo and were followed for a median of 4.9 years. The primary endpoint of the study was the total number of first and subsequent occurrences of major adverse cardiovascular events (MACE). Result showed that treatment with icosapent ethyl led to a 30% reduction in total primary endpoint events (CV death, nonfatal myocardial infarction [MI], nonfatal stroke, coronary revascularization, or hospitalization for unstable angina) when compared with placebo (61 vs 89 per 1000 patient years, respectively; RR 0.70, 95% CI 0.62–0.78, P<.0001). With regard to secondary endpoint events (CV death, nonfatal MI, or nonfatal stroke), a 28% reduction of total events was noted with icosapent ethyl vs placebo in the intent-to-treat population (32 vs 44 per 1000 patient years, respectively, RR 0.72, 95% CI 0.63–0.82, P<.0001). Icosapent ethyl, marketed under the brand name Vascepa (Amarin), is currently FDA-approved as an adjunct to diet to reduce triglyceride levels in adult patients with severe (≥500mg/dL) hypertriglyceridemia. For more information visit onlinejacc.org.